When there's an emergency situation in a hospital that threatens the physical safety of staff and patients, time is of the essence for hospital security staff to get to the scene of the crisis. 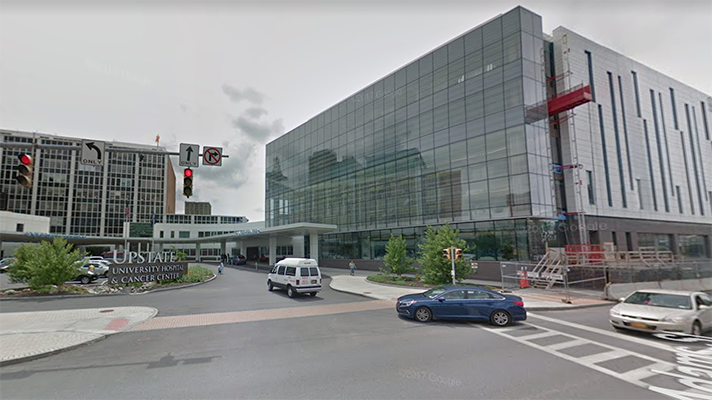 SUNY Upstate Medical in New York knew this fact very well, and wanted to improve on the response time of hospital security. So it invested in a communications technology system that works via badges worn by its staff members. "When our hospital implemented these badges, clinical staff in the emergency department used them first, for at least a year," said Jeremy Joslin, MD, medical director of the adult emergency department and medical director of the transfer center at Upstate University Hospital. "The clinical staff was very comfortable using them on a day-to-day basis for clinical needs." A physician, for example, would be in the back of the emergency department somewhere and in need of assistance. He would broadcast on his badge and say security was needed in a particular room of the hospital – in which case the charge nurse would hear that, pick up the phone and call public safety staff. The nurse would answer some questions about the nature of the request and where the assistance is needed – which is not an easy thing to do when one doesn't have all the information from the person calling for help. This was before the fuller implementation of the communication technology that the hospital conducted. The mean response time then was 3.2 minutes. "Now it's super simple," Joslin said. "The same process on our end. We broadcast for help, a long hold on the button, and that blasts it out to anyone in the group wearing the badges. If there is an incident, we say, 'Assistance needed in A-14,' and that goes out like before, except now there are public safety staff who have those badges and are wearing them, and they hear that and they immediately start to respond. No phone calls needed or questions or telephone games." The average response time is now down to 1.02 minutes. "In the purest sense, it's improving the process using some lean principles," Joslin said. "We take out the middle steps of this process, and we connect the two ends of the process using technology. It's no wonder now that it's so fast because it's just a direct request to public safety using the same means we would use before but without all the steps in between." Those 2.18 minutes saved can feel like a lifetime to staff members when they have a patient who, either through a behavioral problem or an innocent but scary mental health crisis, may be endangering public safety. That boils down to an improved sense of safety and security in as much as you can measure safety and security. "There is a tangible result and sense of improved security and safety," Joslin said. "When you work in an emergency department that is hustling and bustling and you have an episode of violence or safety concerns, anything you can do to help staff feel more safe and secure is very worthwhile and this technology really did do that for us." The hospital conducted a non-scientific survey of emergency department staff before and after the badges and it showed that staff felt an improved sense of safety and security. The badges come from communications technology vendor Vocera. Both before and during the proof of concept of Vocera, the hospital used Cisco and Spectralink IP phones. "We immediately found the value of Vocera to be much greater in the role-based and group calling and broadcasting," compared with other vendors, said Dave George, manager of mobility and integrations at SUNY Upstate Medical. "In addition, the small, lightweight and hands-free form factor was invaluable compared to the bulkier IP phones that had to be held in one's hand to properly use."